We’re proud to have the support of a firm with the highest loyalty ranking in the investment industry. Ameriprise Financial has always put clients first; that’s how loyalty is earned. We offer personalized, comprehensive financial advice and a broad range of solutions to help you and your loved ones live brilliantly, now and in the future. 1 Rating based on responses to a consumer survey as part of the Temkin Loyalty Index, 2017. 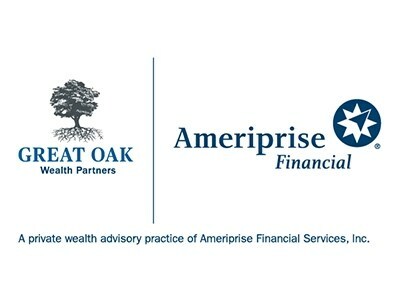 See the Ameriprise Financial recognition page and temkingroup.com for more. Client Satisfaction Rating: Each client has the opportunity to rate a practice based on the client’s overall satisfaction with the practice, on a scale of 1 to 5. The practice’s Client Satisfaction Rating is an average of all client responses for that practice within a rolling 24-month period, and is updated daily. There is no minimum number of responses required for a practice to receive a rating. 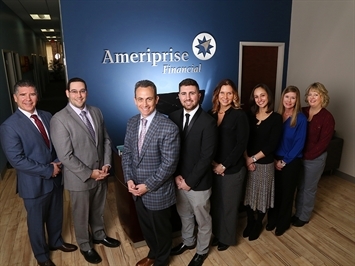 Client experiences may vary, and working with any Ameriprise financial practice is not a guarantee of future financial results. Investors should not consider this rating a substitute for their own research and evaluation of a financial practice's qualifications. Not all clients may respond to these questions, and only clients with access to the Ameriprise Secure Client Site may submit a rating.